Brief Synopsis – A lonely cobbler discovers a magical way that he can transform into other people by “literally” walking in their shoes. My Take on it – This is a film that I knew absolutely nothing about before choosing it for this series and was very pleasantly surprised at how enjoyable it was. 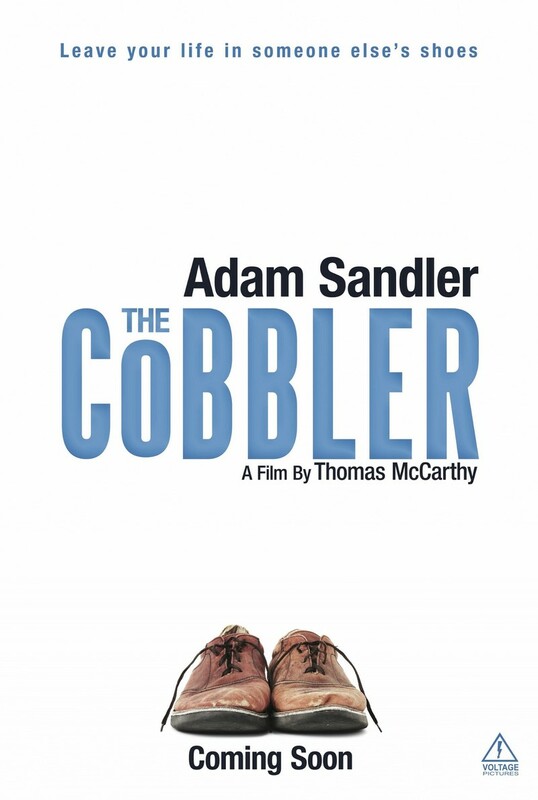 ADam Sandler can be a great actor and this film is proof of that since he is able to play a character who is quite vulnerable yet they dveelop him quite well throughout the film taht it’s quite easy to care about what will hapen to him. The premise works really well and they do a great job giving an acceptable answer as to why and how things actually work as they do here. The story is both a fantastical one and a metaphorical one since it also teaches us that having the ability to do something might not necessarily give us all that we want. The script is quite clever from start to finish and they use some great methods to help us keep track of things that move along quite quickly especially a multi-colored scarf that keep reappearing. This film gives us the unique perspective of how is might be to live another person’s life yet at the same time see how things can affect our own lives along the way. They do a great job mixing together both comedy and drama here and are able to create some great scenarios that work so well within the context of this film yet would seem quite strange in any other one. They do a great job showing the background information of how things work within the story and makes it all seem very plausible within that context. Bottom Line – Such a fun premise that works ob numerous levels. Sandler plays the lead really well and we get to learn so much about his character along the way. The story itself seems both metaphorical and fantastical at the same time and we get to see a clever script at work from start to finish. The film gives us the perspective of how one could possibly live the life of another person while at the same time see how that can affect one’s own life along the way. The film mixes together comedy and drama really well and creates some situations that work within the context of the film but would probably seem much more far fetched if we didn’t have the background information about the fantastical aspects of this story. Recommended!